I'm buying this, love all the "Distant _____" released so far. This sounds right up my alley. I've been waiting for planar content that's more maps and setting than crunch and bestiary. Very likely to buy. i wonder what the other three planes that will get love will be. I actually kinda hope it's not. Lots has been done with Dis in Pathfinder and 3.5. Let's give Hell another city. ... does Hell have any other cities? Sorry. I had to. I'll see myself out. And show Dispater in, seeing as how the Lord of Dis is the Lord of Diss (it's in his abilities). I am hoping for something from the positive energy plane, maelstrom, dimension of time, dimension of dreams, and/or Axis. While it sounds like a very amazing premise, it's still not selling me. Seems a bit too... Ethereal for my tastes? ...will also show themselves out. Anyone know which book the placeholder art is from? Yeah I mean if any place needs a little more love, it's the Dis. Besides most of the other parts of Hell aren't nearly as...accommodating as Dis. I don't even remember Dis but then again it isn't from a plane I am all that interested in. The Fools' Citadel of Avernus, The Fortress City outside of Dis, The Watch of Arocard on Erebus, The Drowned Empire on Stygia (this would be a good candidate), Betzebbul on Cocytus, Tichaim on Cocytus, Lasraspan on Caina, and the Synod Eye of Nessus. Now admittedly, some of these are described as courts or fortresses, but given that this is Hell we are talking about, they may as well be cities. My point is, Dis gets covered in every treatment of Hell. It may be iconic, but there is plenty of space to give something new a shot. Saw the title and thought it might be a closer look at some of the nations from Distant Shores. Not that I'm particularly disappointed—planar cities are cool too! A closer examination of those nations and regions would be really fun, but any one of those areas would warrant its own book. Perhaps at some point in the bright and idyllic future! Planar Adventures hardcover book? Check. Planar campaign setting book detailing planar cities? Check. Could there be a planar Player's companion, and perhaps an AP that goes planar, in near-ish future??? ...was there a sneak peek in a recent PFS scenario into one of these places? Player Companions since we've had blood of fiends, blood of the elements and blood of angels. Not sure we'll get one for just the planes. Yeah, I agree a city from the dimension of dreams would be interesting. What about Leng? The High Priest Not To Be Named sounds interesting. He's not the prince in yellow right? I am sure we will find out what other planes, dimensions, and/or demi-planes will get love much closer to the release date. All of those books are about being descendant from somebody from the planes. They're all 100% racial. 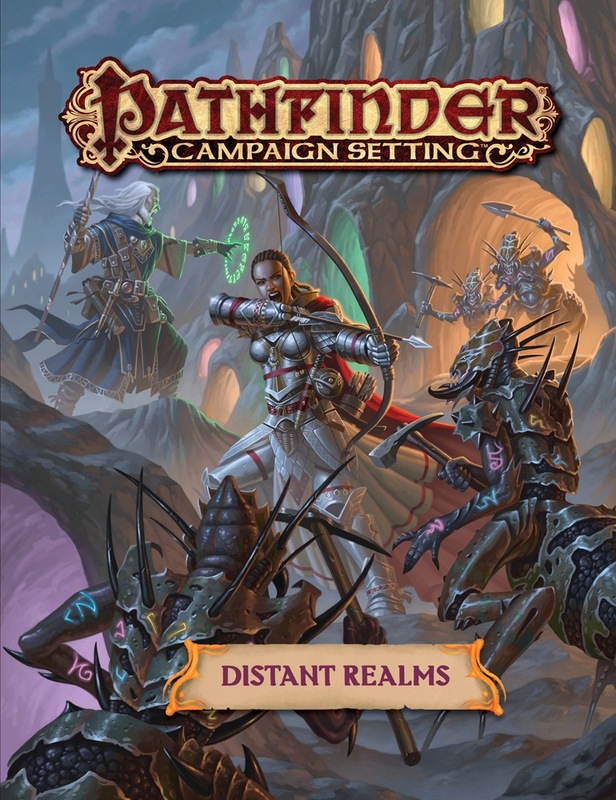 You saying we can't get a Player's Guide to Planar Adventuring(or whatever) that's planar spells, archetypes, feats, gear(magic or otherwise) based around traveling, adventuring and fighting around the planes, with a specific PC bent? It seems...unlikely in my book is all I'm saying. [Emphasis mine] Which book is that, Monkeygod? We had Mythic Origins, we had Occult Origins, we had Advanced Class Origins... I don't see it as outside the realm of possibility that we could get a Planar Origins Player Companion. Having said that, a lot of the niche for the Origins products was the separation between world-neutral (RPG line) and Golarion-specific (PC line), and with that separation gone, a lot of justification for Origins might be gone too. I do love to see this book being done, but I have sort of a request to make. No City of Brass, please. City of Brass is the go-town location for a planar settlement. It has been done and overdone and done again. Let's branch off to something different. I could have sworn they already focused on the City of Brass in another campaign setting book. But I do agree, it is one of the most over done places for planar settlements. 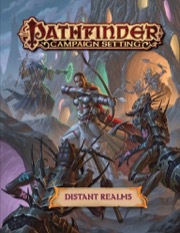 By "overdone" you guys mean the fact that the last major City of Brass supplement, the Necromancer Games boxed set, is 10 years old and that there are a total of two Paizo adventures that take place there? One is Legacy of Fire's The Impossible Eye, and the other is the PFS two-part scenario Forged in Flame - first part takes place in the city of Zjarra on the Plane of Fire, the second part is CoB straight and center.